Being a single child in the family, with a pretty straight mom who works long hours to support our family, I was always alone. To keep myself companied I listened to the radio all the time, and chatted with my gfs on the phone. My hands would be idle and I always played with Blue Tac as a kid. I never really developed my skills later as a sculptor and I never thought one day my little Blue Tac project would become a real piece of jewelry. 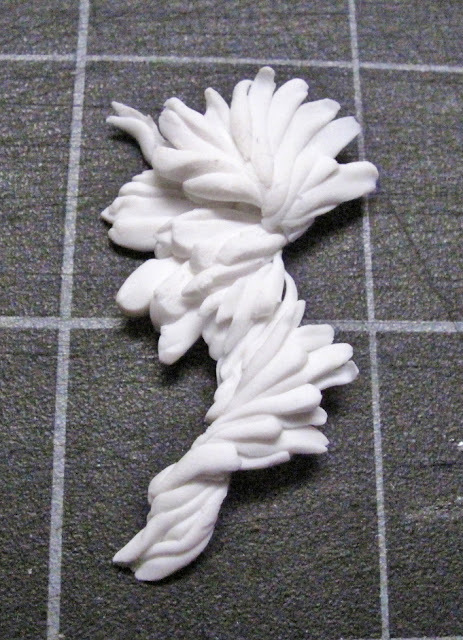 Fast forward 20 years later, that is last week, I started playing with my polymer clay, thinking I'll make a mold for my next collection and use it as a base to shape my wax pieces when I work on them at home. But voila, a new baby is born completely unplanned. I think the shapes I created looks quite like a whirl of feathers. But because the way I make these shapes they come out completely random and organic, it is very hard to make them identical. I thought the ones above would work for me as earrings, I personally prefers the differences but not sure if my customers will. So I worked on a ring prototype instead. I think it will make a good model for casting. Imagine this in silver oxidized. I think it will be quite attractive. I tried also making a few other smaller pieces for pendants. The first pic of this post is meant to be a hanging pendant over a chain. And the one below will be a pendant hung from a wired necklace. 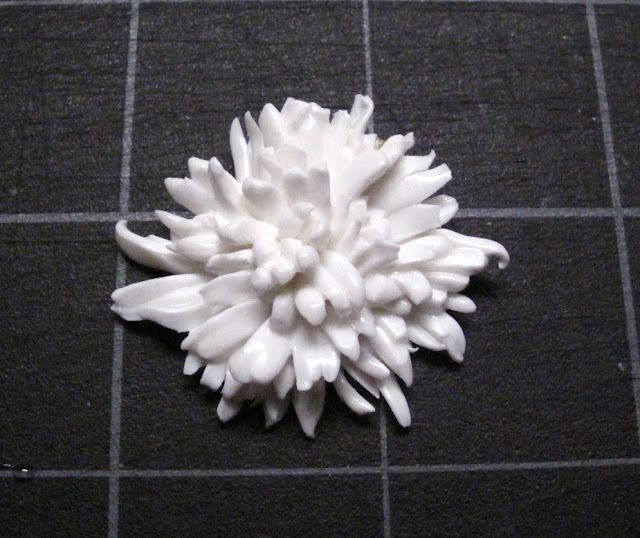 It is the same technique but used to create a chrysanthemum instead. For mold making, I would have to make brand new ones. 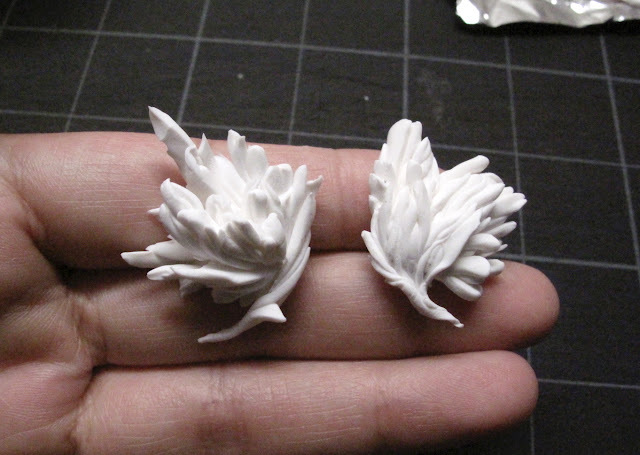 These are going into my private collection as white polymer clay. I like them like that. A little fragile, and looks like porcelain. I will be introducing them in my other store "Bunnies Can Dream" but only as pendants. Polymer Clay after heated in oven becomes hard so it's good material for necklace and earrings but I am not confident it will be good ring material, no matter how many Etsy sellers think otherwise. So, a line that exists in both Bunnies Can Dream and Harlequin&Lionhead. I think both of my worlds are merging finally.